An affectionate look at the life and work of some of Britain's best-loved comedians. 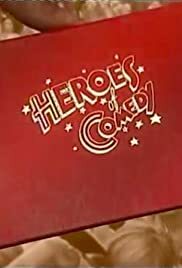 'Heroes of Comedy' was a great series because it covered a wide range and scope of comedians during its run: Sid James, Kenneth Williams, Arthur Haines, Max Wall, Max Miller, Tony Hancock, the Goons, Terry-Thomas, Frankie Howerd, and many others. Along with the usual 'talking head' interviews there were many clips of whoever was the subject, usually well-chosen and not always the same old stuff you'd expect. It was a pleasure to watch, especially when the subject was someone who isn't seen much on TV these days. This kind of series is what TV was made for - to celebrate the lives and careers of those who enriched the entertainment world. Heroes indeed (although I'd like to see some of the great ladies of comedy similarly honoured in the not-too-distant future! ).